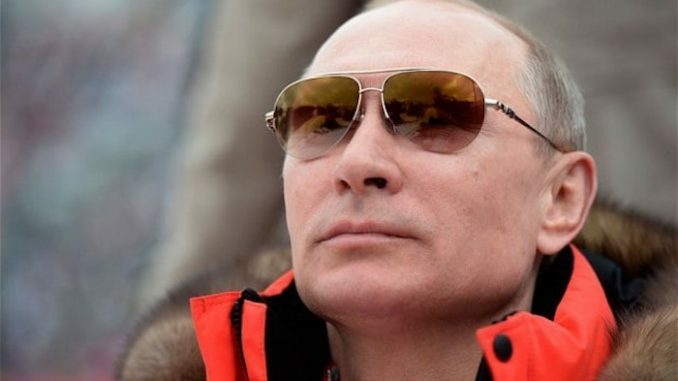 Brave Vladimir Putin has rocketed up the popularity charts of world figures according to a British poll, proving that his determination to destroy the New World Order has started to resonate with people all over the world. YouGov surveyed people across 30 different countries and President Putin was the fastest riser on the list of 3000 world figures, being voted the six most admired man in the world. ‘It’s a unique window onto the shared values of humanity in 2016,’ said Freddie Sayers of YouGov. Putin, a judo enthusiast who can bench 230, has been hitting the New World Order where it hurts, outgunning, outflanking and all-round out-manoeuvring the Illuminati. He’s got them running scared, which is why they are in propaganda overdrive, pumping the mainstream Western media full of scare stories and untruths in an attempt to blind the masses to what is really happening before their very eyes. This international poll shows that people all over the world have started to wake up and notice, and they are now backing Putin in their droves. Do not be surprised if the mainstream media attempt to convince you of something deeply disturbing in the near future. We’ve had the Panama Papers leak and the mainstream media’s attempt to smear Putin. Never in history has the New World Order had such a firm grip on Western media operations. At the same time the New World Order has never had such a committed and formidable enemy as they have in Vladimir Putin. This situation cannot continue. Something has to give. He ignored their siren calls and decided to follow his conscience. They promised him a prominent role at their high table, but he recognised their game and vowed to destroy them. Putin’s whole life, from his childhood in a rat-infested tenement building, to his calm and determined presidency, has been a demonstration of his pitiless resolve and determination to do what he knows he must for the sake of his people. The way the cards are being dealt, his people are now the world. As Europe mourns its dead and prepares for imminent terror attacks, Putin warns that the New World Order's masterplan is in its final stages. The New World Order’s plan to fill Western nations with radical Islamic immigrants – against the will of the citizens of these countries – and then unleash hell on earth by “poking them“, has been achieved. I think it is time to remind the people about the REAL reason behind the creation of the UN and the European Union as the fore-runners of a future New World Order. The´global elite´ has probably displayed a ´false card´ promising the Muslims a European Kalifat by invading Europe as ´refugees´ until they are in sufficient numbers to show their true intentions. I also believe the Muslim leaders are preaching a similar ´false card´ to their young men in order to please Allah. This will destroy the European culture,religions and democracy. The breath-taking situation with North Korea and possibility of a WWIII, and the obvious teasing of a raging bull,could also ignite the HUMAN CATASTROPHY, reducing the human population by the millions, as planned by the ´global elite´ many many years ago. After which,the ´global elite´ will appear to ´rescue´ the remaining population,putting them under their total control. This is ALL in their plans,if you do a little research. Trump have already started ´clearing up the swamp´ but it will happen slowly and under cover. Here, I believe Trump and Putin have a consensus.